Product Claims: "Pamper yourself with a hot conditioning treatment for healthy-looking, shiny hair any time you want with the Conair Soft Bonnet Hair Dryer. For long-lasting styling results, this soft bonnet Conair hair dryer can be used with rollers of all sizes to create beautiful curls and waves. You can also use the hot air vent brush to create salon-type results in the comfort of your own home. This 400 watt hair dryer comes in a compact case with a handle for easy portability. It features an easy lock system that allows you to fold and unfold it by just pressing a button. This Conair hair dryer with its small footprint does not occupy much space in your room. Extra small footprint stands up for space-saving storage"
Directions: Click here for a pdf of the actual instructions that come with this unit. The instructions detail how to set the dryer up; use it various purposes like just drying wet hair, rollersets, deep conditioning; using the attachment; and putting it away. My Experience: When I received this dryer, I was so excited. I love bonnet dryers and my Gold N' Hot was on its death bed. I've been using it for a few months now and I think it's great! I've officially used it for everything it's supposed to be good for, too. 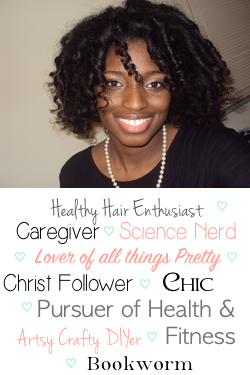 When it comes to hot treatments, I've done everything from hot oil/pre-poos to henna to deep conditioning with it. I only use it on the low setting for these treatments because that level of heat is completely sufficient to get the job done. The heat this little unit puts out is not a joke. I don't even bother to use it on high because it's way too hot (for my personal use) and medium is enough when I want hotter air. I don't think it's a problem that the high heat setting is very hot - that's what it's supposed to be, right? I just feel like my head gets so hot, I start sweating, my hair's gona dry out... blah blah blah, so I choose not to use it. When I've done rollersets, I've used it on both low and medium depending on how wet my hair was: low heat for a rollerset done the night before still a little damp in the morning & medium heat for pretty damp hair right after rollersetting. It doesn't take hours for my hair to dry either, even on medium. I've never had to use it for more than an hour. I will admit to falling asleep with it on (during deep conditioning) though, probably not the safest thing to do. The air heats & circulates evenly around my whole head so I don't feel like I need to shift the bonnet around because one area isn't getting the attention it needs. The bonnet cap fits well and even has a draw-string in case it doesn't fit as snugly as you would like. I've never needed to use that though. It's described as being large and although it doesn't look that way, it is. It has fit over allll my flexi-rods (35+) multiple times with no problem at all. I've used the vent brush attachment a few times to stretch my roots on both low and cool. I didn't use it on the length of my hair, but it worked great on my roots and didn't cause breakage either. The hose can be extended pretty long and shrinks back up just by pulling the draw-string. One thing I really like about this hose is that I don't feel like it's going to burn me. The hose on my old dryer would get really hot and I would have to make sure I kept a towel between it and my neck. As for the case, it is pretty small and easy to store. I usually put the hose and power cord back inside, close it and keep it under my vanity. The bonnet and cap I keep in a drawer solely because I don't want to make the effort to get them to all fit in the case. Even with all those pros, I have experienced one con. The connection between the hose and the bonnet is not as secure as I would like it to be. It has a twist and lock feature, but there are times when I feel like I locked it, have it going, get comfy and it comes out! Now THAT, is annoying to me. After it happened a few times, I started putting the hook-up on the side of my head instead of in the back to see if that would help. Problem solved! For some reason, it never happens when it's on the side of my head, therefore, it is always on the side of my head now. I'm not sure why that worked, but it did so that is definitely not a deal breaker for me. Moral of the Story: I think this is a great bonnet dryer, especially if you're not looking to make a serious investment for a hair appliance. It's definitely worth a shot if you want to try out bonnet dryers, need a new one, or are looking for an alternative to hooded dryers. All for an affordable price! Has anyone else tried this dryer? What was your experience? Great review, especially for those with storage issues! I'm glad it worked for someone. The hose wouldn't stay attached on the one I purchased, so I took it back. I think I'll stick with the hooded dryers. I totally understand that, Neisha. If I had've continued having that issue, I would have done the same thing. Except for another bonnet dryer - I don't like hooded dryers. Try This // The Foundation Contour (for those of us with two-toned skin). I Thought My Hair Was Normal Porosity....WTF? 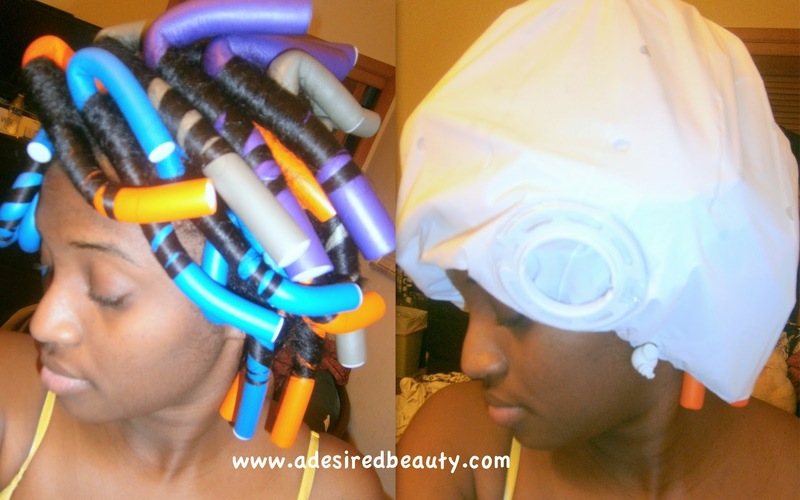 Transformed ~ The Toni Daley Blow Dry Unit Can Be Curled! A Desired Beauty is licensed under a Creative Commons Attribution-NonCommercial-NoDerivatives 4.0 International License.